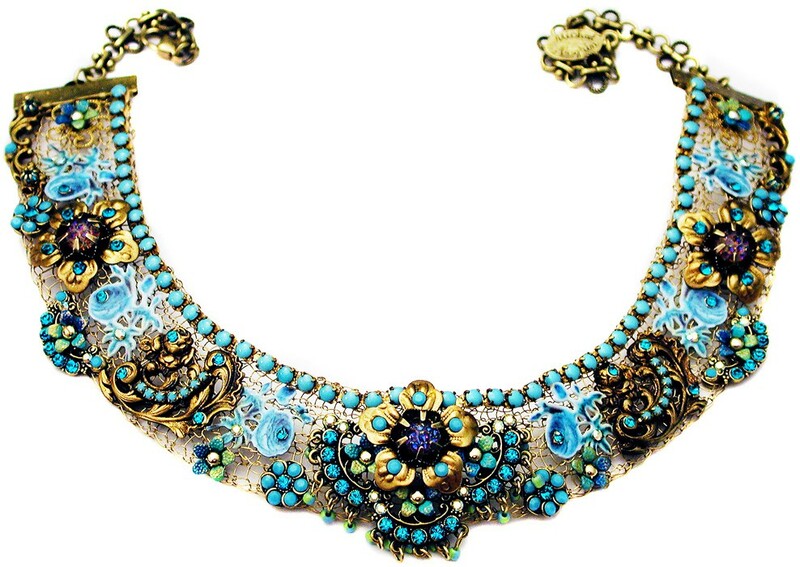 Michal Negrin net choker. 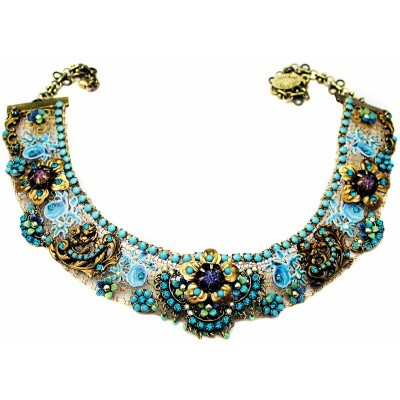 With turquoise sparkling Swarovski crystals, vintage style painted flowers and turquoise and gold tone beads. The choker measures 1 inch wide and the chain length is adjustable.